All brew bars are handmade and as such dimensions may vary marginally. Copper will naturally oxidise causing the metal to dull. This can be rectified by rubbing with steel / wirel wool. For brew bars made with a combination of copper and wood, the hardwood is sealed initially to prevent any moisture ingress, however this will need to be repeated at regular intervals to ensure the wood remains sufficiently treated. None of the brew bars are suitable for dishwashers or soaking. Ensure they are wiped down only with a damp cloth. Any natural flaws in the wood suhc as knot holes, cracks etc... will be treated with clear high quality filler. Please remember that wood is a natural product and is not uniform. Copper joints are not soldered, they are not to be stretched, twisted or turned with force. All items are made to order, as such I prefer a lead time of 1-2 weeks. A few bars are always in stock. If I can fulfil and order more quickly than the lead time, I will of course let you know. All orders must be paid for in full prior to the product being despatched. These Brew Bars are designed to be used with boiling water, every care must be taken when preparing your coffee. The Brew Bar Company cannot be liable for any accidents. Shipping costs vary depending on the style of brew bar. All ordered products can be tracked. You will be provided with a tracking number when the product is despatched. Please note that any ancillary equipment shown in the marketing photographs such as the drippers, cones or mugs are not included in the price of the brew bar. However they are available to purchase separately. explanation and a corrected offer. The information displayed is considered as an invitation to treat not as a confirmed offer for sale. The contract is confirmed upon supply of goods. The Brew Bar Company attempts to be as accurate as possible however we do not warrant that product descriptions or other content is accurate, complete, reliable, or error free. From time to time there may be information on The Brew Bar Company's site that contains typographical errors, inaccuracies or omissions that may relate to product descriptions, pricing and avaiability. We reserve the right to correct any errors, inaccuracies or omissions and to change or update information at any time without prior notice. (Including after you have submitted your order) We apologies for any inconvenience this may cause you. If when you receive your product(s), you are not completely satisfied you may return the items to us, within seven days for exchange or refund. Items must be in original un-opened packaging, in all original boxes, packaging materials, and all accessories and documents provided by the manufacturer. Items must be delivered back to our store at during our hours of business, Monday – Friday 9am – 5pm (or by appointment). If you are using a third party to return your package, we strongly recommend that you fully insure it. We suggest the use of a carrier that can provide you with a proof of delivery. The Brew Bar Company will not be held responsible for items lost or damaged in transit. All shipping back to The Brew Bar Company is paid for by the customer. We are unable to refund you any postal/delivery cost you may have incurred. We have taken the appropriate measures to ensure that your personal information is not unlawfully processed. The Brew Bar Company uses industry standard practices to safeguard the confidentiality of your personal identifiable information, including ‘firewalls’ and secure socket layers. 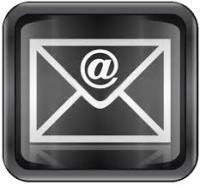 * To send you newsletters and details of offers and promotions in which we believe you may be interested. All content includes on the site such as text, graphics logos button icons images audio clips digital downloads and software are all owned by The Brew Bar Company and are protected by international copyright laws.